A halloween themed top 10, with a world cinema angle. At number one Santa Sangre is an exhilarating, wacky horror made by one of the worlds most extraordinary directors, Alejandro Jodorowsky. This film was inspired by a real life encounter that Jodorowsky had with a reformed serial killer in a Mexican bar. The film uses the killers story as its basis, but the film is very much a product of Jodorowsky’s imagination. A unique piece of world cinema and a unique horror film at the same time. Angst is a seriously cold and disturbing piece of European filmmaking. While not for the faint of heart this film pushes the boundaries of the horror film. Angst takes both performances and gore to an unparalleled level of realism while, using an unconventional style of camera work to create a sense of mania. Director Gerald Kargl largely shoots from extreme high and low angles using a rig whereby the 16mm camera seemingly floats above and around the action. This implants the audience in the mind of the serial killer, whether they want to be there or not. Perhaps it’s no surprise that Angst bankrupted the filmmakers, leading them to never make a film again. The ultimate cross over between the art film and the horror film. Dario Argento’s Suspiria is without question his masterpiece, at least in visual and sonic terms. This film has one of the most powerful scores ever composed for a horror film (by Italian progressive rock band Goblin) and its expressive and colourful cinematography complement it perfectly. Perhaps the only downside to this film is its script, but Argento’s strong direction still manages to maintain huge levels of suspense regardless. This is a fairly classical and very spooky Spanish horror made back in the early 1970’s. It features ghostly figures on horseback carrying out satanic rituals and generally murdering attractive young Spanish ladies. Let’s be honest, what more do you want for Halloween? 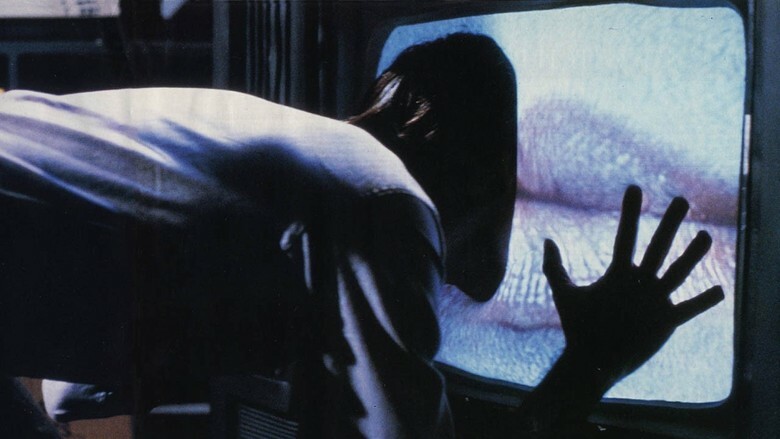 Canadian director David Cronenberg’s sci-fi horror stars James Woods as a seedy television producer who stumbles upon a strange television channel (videodrome) seemingly dealing in nothing but torture and violence. This disturbing film deals with the effect that increasingly disturbing viewing habits have on the public. This idea manifests itself in the film as a tumor created by videodrome which gradually alters the subject’s perception of reality. This is an intense type of psychological horror unique to Cronenberg’s very particular sensibility. The Eye is an intensely effective Hong Kong horror. Superbly directed for the majority of the film it falls down in the last act. This said the subtle handling of suspense and scares for the first two thirds makes this film one of the most effective horrors for the last decade or so. It is perhaps even scarier that Hideo Nakata’s The Ring series, which treaded into similarly freaky territory. Roman Polanski’s French made The Tenant sees him on top form as both director and star. 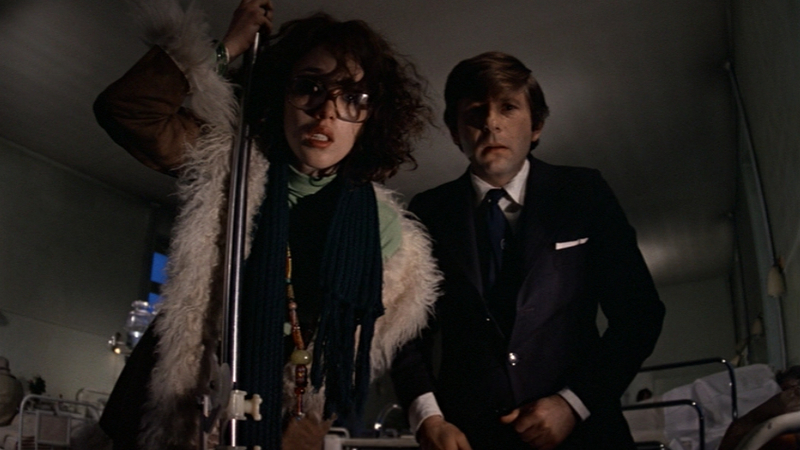 This film sees Polanski working in a claustrophobic setting, which nearly always guarantee’s success for this auteur. Polanski’s ability to show a character slipping gradually into insanity rivals his American made Rosemary’s Baby, but in a sense this film is even darker as the threat comes almost entirely from within. For this reason this is a very European film, as it suggests that sanity is a thin layer that hides our potential madness beneath. This film by maverick Japanese director Takashi Miike is as nonsensical and probably as much fun as any Halloween party I’ve been to in recent years. Perhaps not strictly a horror film, it is a crazy mash up of genres with elements of the gangster film and road movie blended together with a good dose of surrealism. While I’m still not quite sure what happened here, it’s definitely one to watch for the moment a reindeer (at least I think that’s what is it!?) appears from nowhere and licks a man in the face. A super spooky silent film from Sweden, 1921. 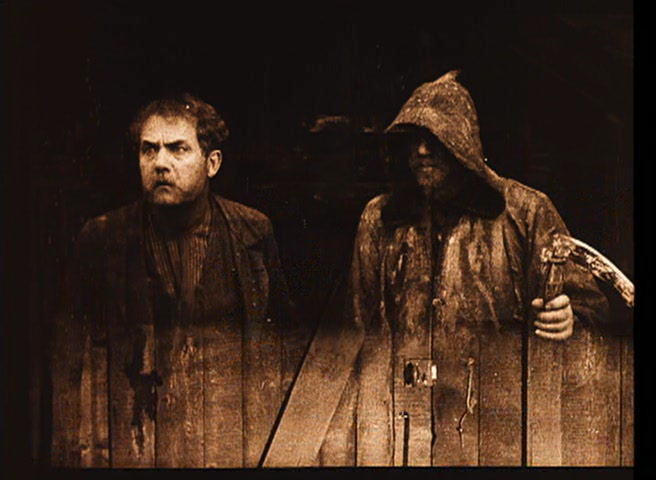 This film uses primitive filmmaking techniques, such as double exposures and high contrast lighting to tell the story of a legend told between a group of drunkards. The story goes that the last person to die each yeah, if he is a great sinner, will have to drive the grim reapers carriage for the whole of the next year collecting the souls of all those who die. One of the drunks dies at the stroke of midnight and it all goes a bit Christmas Carol from there. Scary stuff! 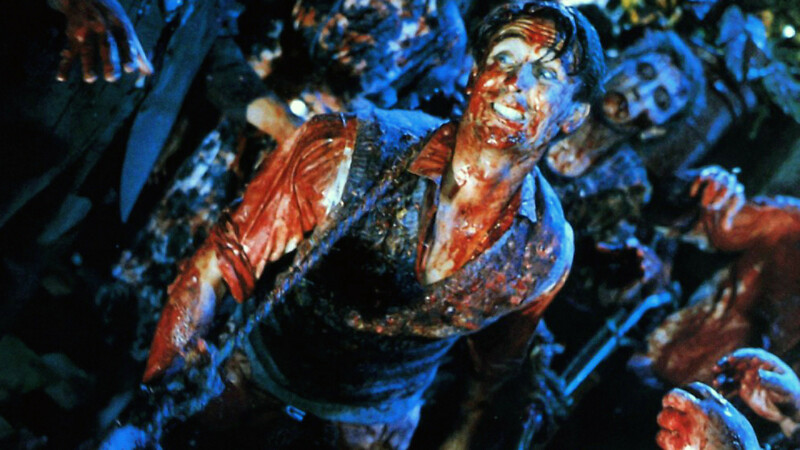 Before he became one of the most insanely powerful filmmakers in the world Peter Jackson (The Lord of the Rings trilogy, King Kong, Tintin 3D, The Hobbit) made films in his native New Zealand, involving men massacring hundreds of zombies with a lawnmower. I know which part of his career I enjoy the most. It is a strange coincidence that Werner Herzog and Wim Wenders, internationally famous auteurs and central figures of the 1960’s film movement the New German Cinema (which Herzog does not consider himself part of), have both made films in 3D for release this year. It is also interesting to note the distinctly different approach that each director has taken to 3D. Herzog has shot Cave of Forgotten Dreams, a documentary deep under ground in the Chauvet Cave in France (the site of the oldest known cave paintings), while Wenders has made Pina, a dance film dedicated to the late dance choreographer Pina Bausch. It is a testament to the maverick spirit of this generation of German directors that both Herzog and Wenders have embarked on these projects. Perhaps their interpretations of 3D will bring something truly special to this often debated technology. 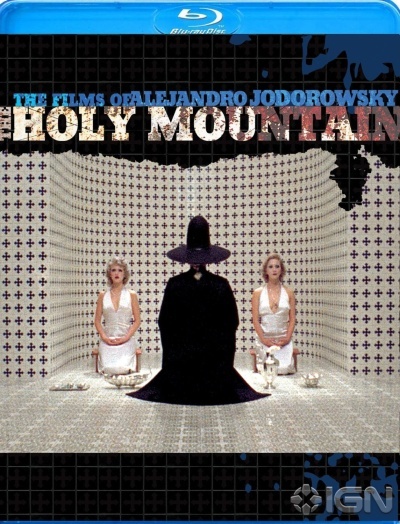 It is great news to hear that the visionary Mexican films El Topo (1970) and The Holy Mountain (1973) by Alejandro Jodorowsky are soon to be released on Blu-Ray. Jodorowsky’s films are extraordinary journeys for their audience and their arresting visual styles play a big part in this. I expect the Blu-Ray treatment will really add to the experience. In addition to this Jodorowsky’s Sante Sangre (1989) was released on Blu-ray at the start of this year by Severin Films with a long list of extras.